What many business owners who have been in business for longer than ten years don’t understand is that most customers are changing their local shopping habits. Your current target market is being replaced by younger, faster-thinking versions who are used to have a variety of shopping resources at their fingertips. Now, more than ever, is the time to re-evaluate your acquisition strategy and find ways to get new customers that won’t become irrelevant next year. Your new strategies should begin and end with understanding The Mobile Shift. The Mobile Shift is the term that we’re using to explain the changing buying and searching patterns of the population. As the internet becomes more readily accessibly by phone, tablet, and cars, you must take your business “on-the-go” as well. What we mean by that is that your business needs to be everywhere, not just at your storefront and on your website. There are new requirements for local businesses to stay competitive, and they all come down to making sure your business is accessible via mobile devices and users. We’ve put together this checklist for you to see where you might be lacking in your mobile availability and to help you determine how you can reach that potentially untapped pool of customers. Our checklist is divided into two goals: being more visible on mobile devices and making things easy for mobile users to interact with you. Is Your Business Catering to Mobile Searches? Are your PPC bids competitive? Whether you’ve been investing in Pay-Per-Click previously or not, now is the time to start. Think about the size of mobile phones and tablets. How many search results do you think can fit on the screen before the user has to scroll? Usually it’s 3, maybe 4 with some of the bigger screens. Have you realized yet that the first 2-3 results in a mobile search are PPC ads? If you aren’t ranking in basically the first 1 or 2 spots organically, the odds that customers are going to find you is slim, as they’re less likely to scroll down the list of results when they have a few perfectly good options staring them in the face right away. 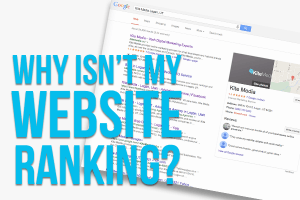 If you are already paying for PPC, where are you ranking for your target searches? It’s important to be competitive in your bidding for mobile results because Google only shows 2 or 3 ads at the top, and you don’t get the benefit of that side bar of ads running along the rest of the search results. As mobile users click a few pages deep into their search results, they might see your ad at the top of their page of results, but how many mobile users are paging through search results? Most will find their answer in the first few rankings, and your PPC budget will have been wasted. Do some research to determine how you should be prioritizing your bids for your keywords and on what types of devices. We can tell you right now: you should probably increase the amount of your budget that you give to mobile PPC ads. Are you listed on mobile search apps? In addition to Safari, Chrome, and other browser apps, customers are using apps like Yelp, Google Maps, Foursquare, and social media to search for local business. You can easily claim or create a listing/page for yourself on all these platforms – it’s just a matter of taking the time to do so and then verifying that all your information listed is correct. Having a listing on review apps like Yelp is especially important because customer reviews help increase your exposure and your presence on both mobile apps and desktop search results. Are mobile ads worth looking into? Is your target demographic likely to be playing solitaire during their lunch break or crushing some candy as the evenings wind down? If so, mobile ads might be a good way to gain some new business. While they shouldn’t be the first priority for someone just starting their internet marketing strategy, mobile ads could help you reach an untapped portion of the population if you have the extra money in your marketing budget each month. Is Your Website Catering to Mobile Users? 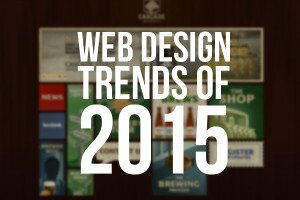 With each type of mobile device, there are different layouts and formats that are more appealing to the eye. If users that land on your website while using their phone or tablet have to scroll around or do the ol’ pinch and turn just to be able to read the content on your site, they’re less likely to convert into a customer. The quick fix is to invest in responsive website layouts that adjust as the screen gets smaller. This will help keep the prominent sections of your layout at the top and in the focus of the user. Is everything easy to find without scrolling forever? Scrolling layouts are nice for big screens and wide windows, but when you’re on a mobile device, you don’t want to scroll for five minutes to find what you’re looking for. Try using bold words and headers to make quick scrolling more productive, or direct your PPC mobile ads to specific pages on your site that are catered to mobile users. If you have to choose, and you’re going with the trendy continuous scroll layouts, just make sure the important relevant information is towards the top. Can customers easily get in touch with you from their mobile browser? Speaking of important relevant information, is your contact info easy to find on your website? If you’re relying on your footer to communicate your physical address or your social media pages, then think again. Make sure that your phone number is easily seen when first landing on the page, and that there’s a big Contact Us button to navigate to more contact details. Also, link your phone number and email address so that your customers can click directly to initiate a phone call or email, rather than remembering the information and switching from their browser app to a different one. We’ve outlined a tutorial for linking telephone numbers here. Are you ready to reach more of your mobile customers? We hope these tips will bring you new business from areas you weren’t previously targeting!